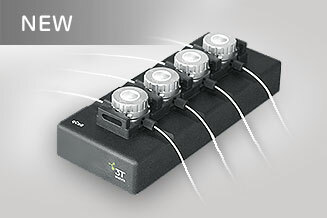 The new qCell Q4 is a four channel QCM-D device from the qCell series. 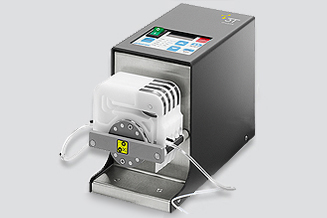 The entry level QCM-D platform without temperature and pump control is optimal for quick screening and parallel measurements. It is a versatile instrument yet carries the latest QCM-D technology. The four channels permit measuring different samples at the same time. 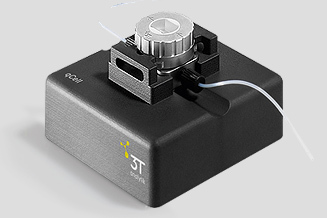 The flow cells have separate fluidic connections, enabling synchronized as well as independent flow operations and profiles. 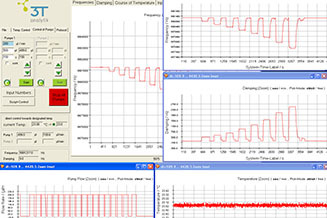 The software qGraph manages sensor data collecting and processing. Alterations in mass adsorptions, layer thickness and sample viscosity are obtained with high accuracy, controlled against blank, in a time resolved manner. qCell Q2 is the dual channel version of the entry level QCM-D device qCell, like qCell without thermal control or automated pump control. The second channel permits measuring sample and control at the same time. 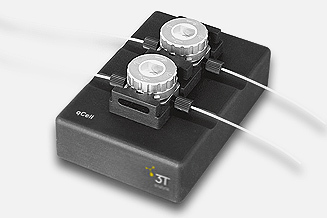 The measuring chambers have separate fluidic connections, enabling synchronized as well as independent flow operations. qCell is the entry level sensor platform for the full range of QCM-D experiments. In comparison to the full-fledged sensor system qCell T, qCell has no Peltier system for thermal control and no automatic pump control. The software qGraph manages sensor data collecting and processing. Alterations in mass adsorptions, layer thickness and sample viscosity are obtained with high accuracy, controlled against blank, in a time resolved manner. qCell series offers also optional fluid control with high accuracy and repeatability. Flow rate can be precisely adjusted from 9 µl/min to 5600 µl/min. The minimum flow rate reaches down to 9 µl/min and the 12 roller peristaltic pump provides high accuracy and repeatability even under low flow rate. Along with the minimum sample volume requirement of 80 µl, the fluid system makes qCell series the optimal instrument for laboratory and industrial applications using high cost fluid sample. The flow cell head (top) is positioned over the sensor placed in the cell socket and locked with a quarter turn in a bayonet style. A tight seal is maintained by a thin O-ring which rests on the sheet - and not on the sensor - virtually eliminating any tension and ensuring high signal integrity. After priming, the quartz sensor is exposed to the liquid and the measurement can begin. 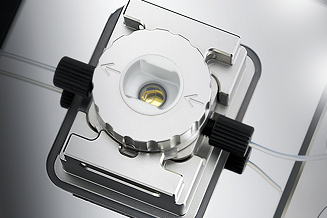 The flow cell head can be equipped with a fully transparent plug allowing a user to visually follow the experiment over its time course. Individual panels display frequency, damping (dissipation), temperature and pump flow profiles. Online protocol commenting, coordinate display by pick point function, scripts for programming flow rates, patterns and repetitive cycles can be added and edited by the operator. Data export to qGraph Viewer, Excel™, Origin™ and other processing software is supported.